It looks like I have made it into my third decade of life somehow. incredible. I never thought that would happen, but it has. Today’s themes seem to be magick, sparkles, alcohol(s), headaches, sunshine, rain and forgetfulness! so I guess it could be worse. I indulged in some pre-work singing to myself at home – i think I forgot how much I enjoy just warbling along to music 🙂 now I have to go see to my cancer cells in a dish – to make sure they live through the weekend. I just wish the stench of octanol would get out of my nostrils….bleugh!!!! too much stufff going on for words, no time, not enough energy. If only these busying exhausting things brought happiness, but for now it seems all I get are various degrees of misery and discomfort. 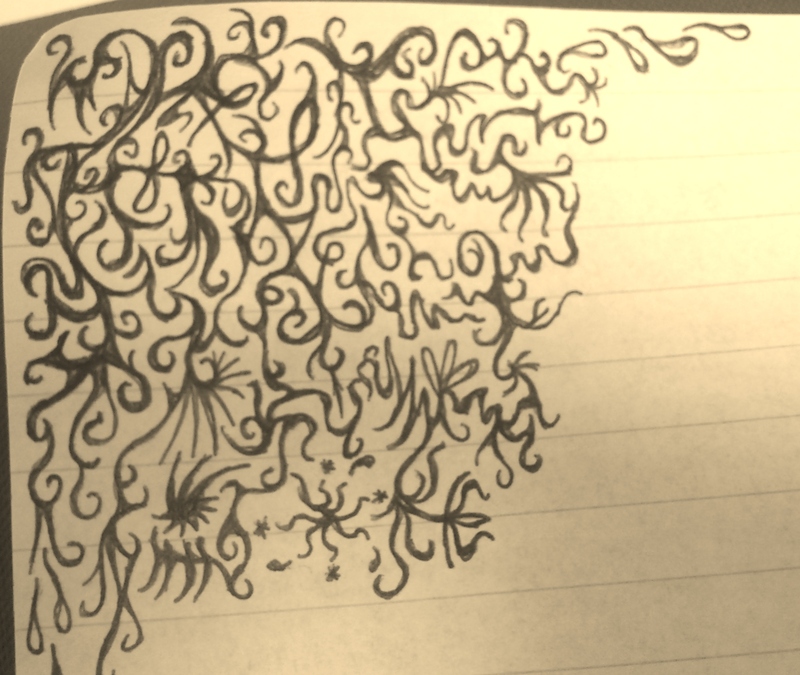 I doodled when on a conference telephone call – here is the evidence! 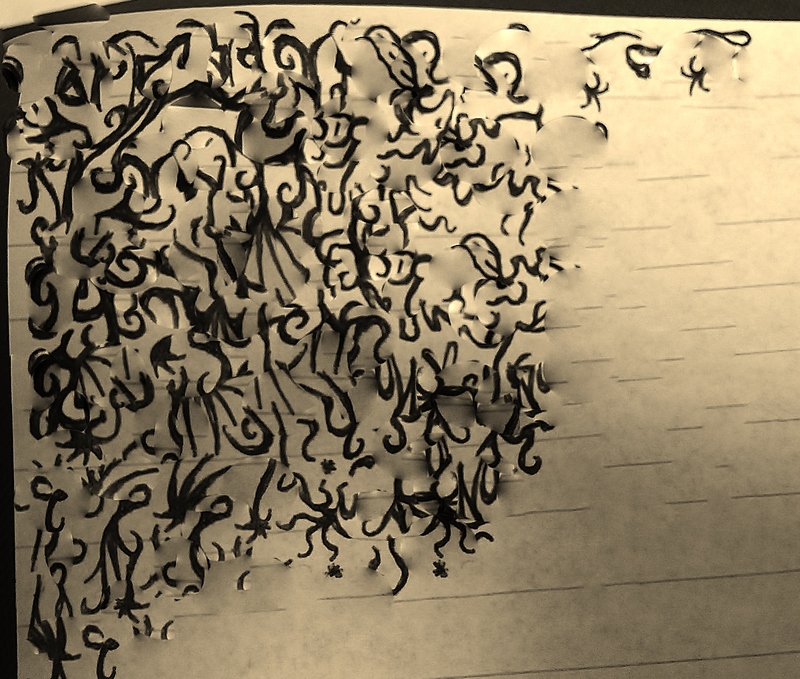 I then played with it on the computer and it looks kind of disjointed and has two birds in it! i prefer the modified version! What else do i have to say? not much right now.